Map It! 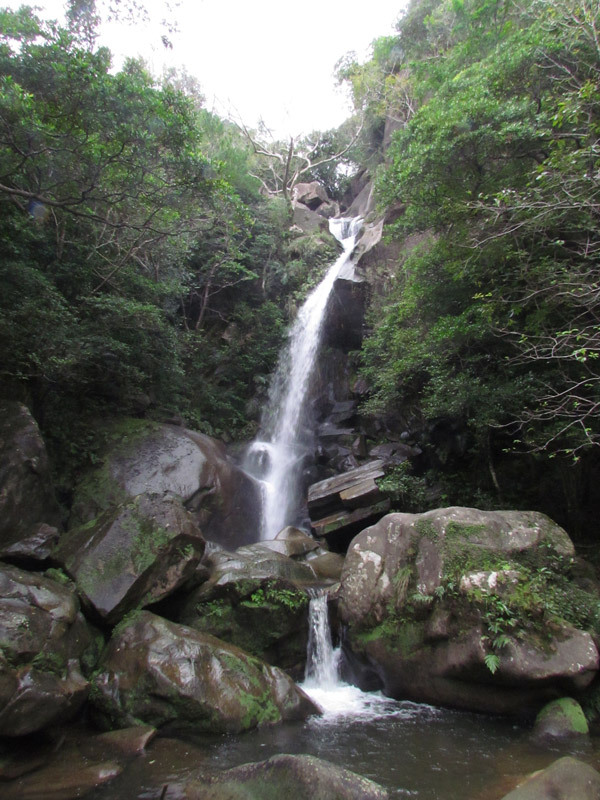 Okinawa: "Todoroki Waterfall in Nago City"
This is the "Todoroki-no-taki" or the Todoroki Waterfall in Nago City. It lies in the Sukata District just south of the Highway 329 and Highway 58 intersection. Not as well known as its sister waterfall in Hiji, the Todoroki Waterfall nevertheless still stands as an impressive art of nature. The word "Todoroki" in Japanese means to "roar" or "rumble". Without a doubt, you will feel the vibration of the thundering water as it hits the surface down below. There is plenty of shade by the nearby trees and seats where you can enjoy the surrounding nature. You will see a small place where people pray from time to time. Please see photo album above. Though this is somewhat of a makeshift altar please show proper respect when around that area. There is also a trail that you will see to the left if you are facing the waterfall. Portions of the trail lead to a power line tower and another to a dead end. There is trail that goes further back away from the waterfall (destination unknown) . The trail is uneven, slippery, and sometimes steep - so use caution. Always be aware of critters and snakes. There was nothing I found that lead to the top of the waterfall. Use proper judgement for traversing the hillside on these trails should you decide to do so. CAUTION. The boulders and rocks near the waterfall are slippery. Please use caution if you decide to get close to the bottom. Directions. One direct route is to take Highway 329 till you hit the Highway 58 Intersection. Turn left on 58 and turn left on the first traffic light. See map above. Make sure you then navigate your way to the south side of the stream (right side) as you are driving towards the waterfall. Parking/Amenities. Parking and toilet facilities are available. Other Places of Interest Nearby: Ato no Utaki (Kyoda), Giant Shisas (Kyoda), Green Bridge/Lower Creek Park, Water From Hands (Kyoda), The Nangusuku Castle Ruins, Nago Museum. 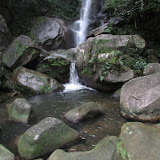 Other Waterfalls of Okinawa (沖 縄 滝). Azaka Falls, Fukugawa Falls, Hira Falls, Meoto Falls, Ogimi Waterfall, Taa Waterfall, Nameless Waterfall (Fukugawa II), Kijoka Falls, Nameless Waterfall (Kunigami). TODOROKI WATERFALL looks so similar to BASH BISH FALLS - SW corner of Massachusetts in southern Berkshire County (near CT/NY borders).